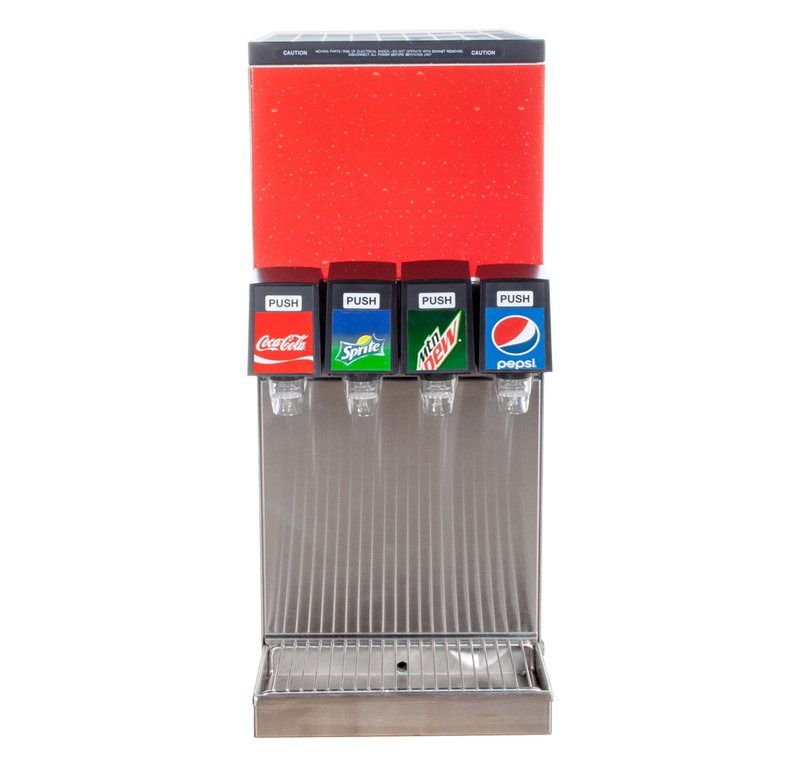 Complete, remanufactured, four (4) flavor counter electric soda fountain system. 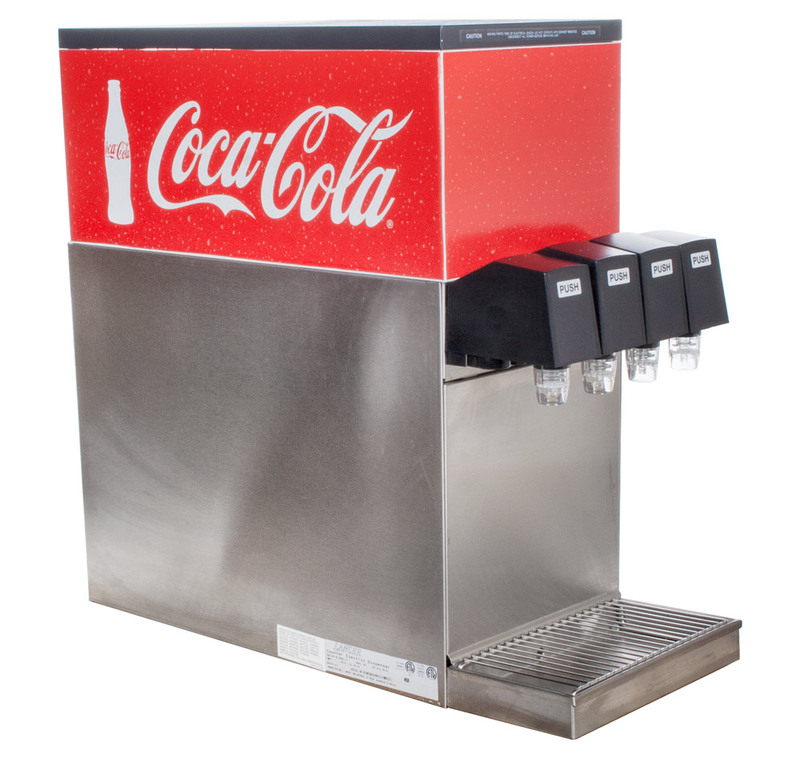 This system features a brand new dispenser with remanufactured support equipment and built-in refrigerated cooling. 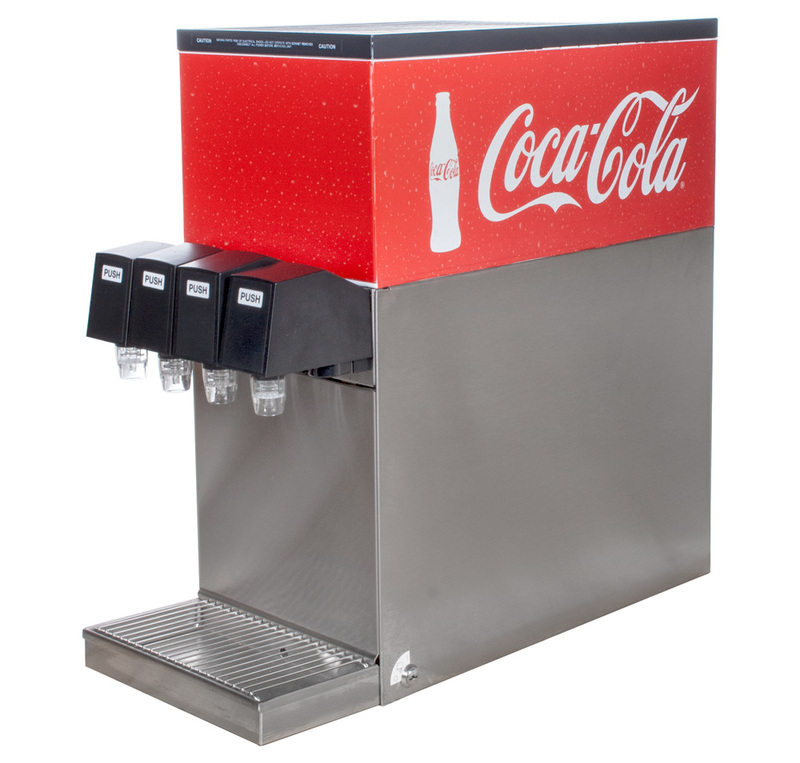 This type of heat transfer cools a water bath that the soda water and syrup lines run through, eliminating the need for a cold plate or ice. Ready for service. 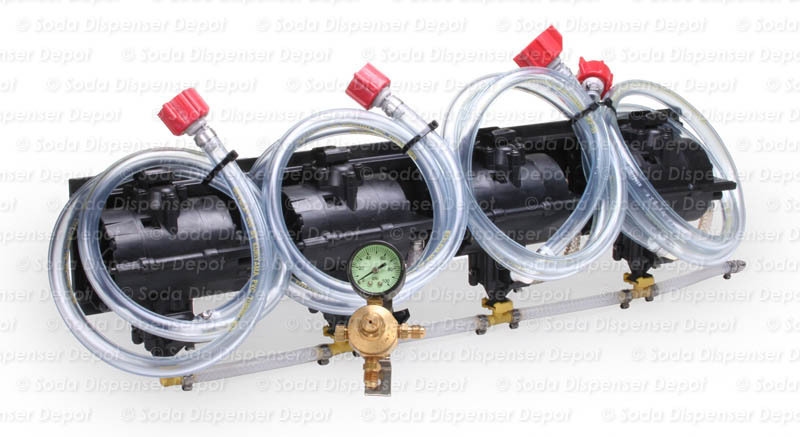 System cools quickly and properly.